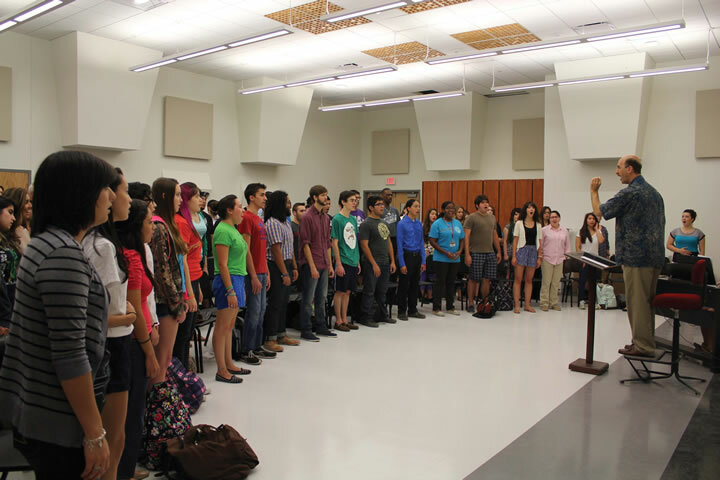 William Gokelman, professor of music and chair of the music department, directs the Cardinal Chorale in the new choir rehearsal room at UIW’s Fine Arts Complex. 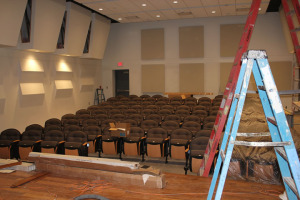 “It is truly a blessing to have the appropriate spaces for rehearsing and music making. We have never had true rehearsal rooms before, having had to rehearse the 80-100 member chorale in a classroom. Now, the students and I can actually hear each other and work on subtleties of tuning, blend, vowel formations, diction and overall expression,” said Gokelman. 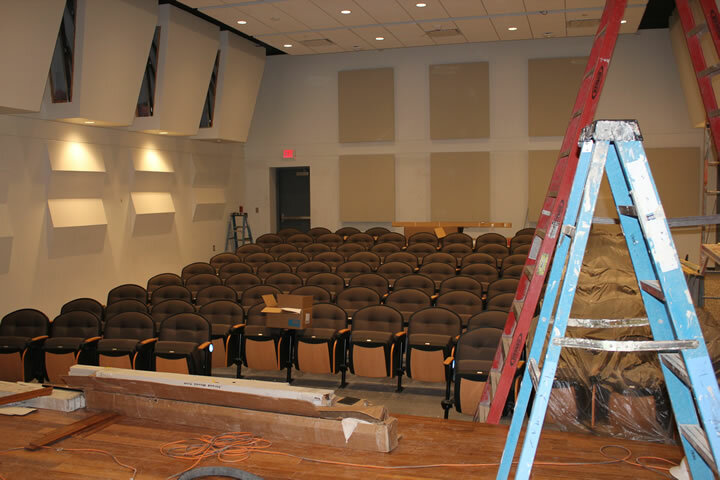 The new, 101-seat recital hall (left) designed for student and faculty presentations, as well as community arts groups, is near completion. UIW’s Fine Arts Complex officially opens in January. 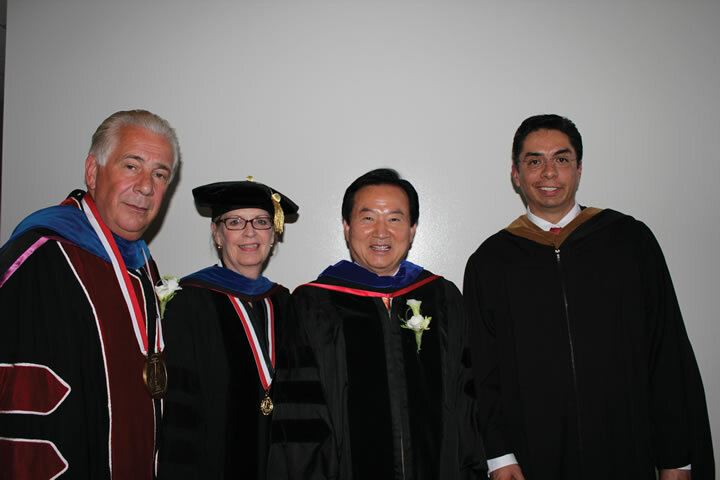 UIW is offering alumni and friends the opportunity to make a donation of $1,000 or more to the Fine Arts Campaign, and receive a name plate on a seat in the renovated auditorium with their name on it or the name of a person they would like to honor or memorialize. The name plate can have 3 lines and up to 18 characters, inclusive of spaces, on each line. 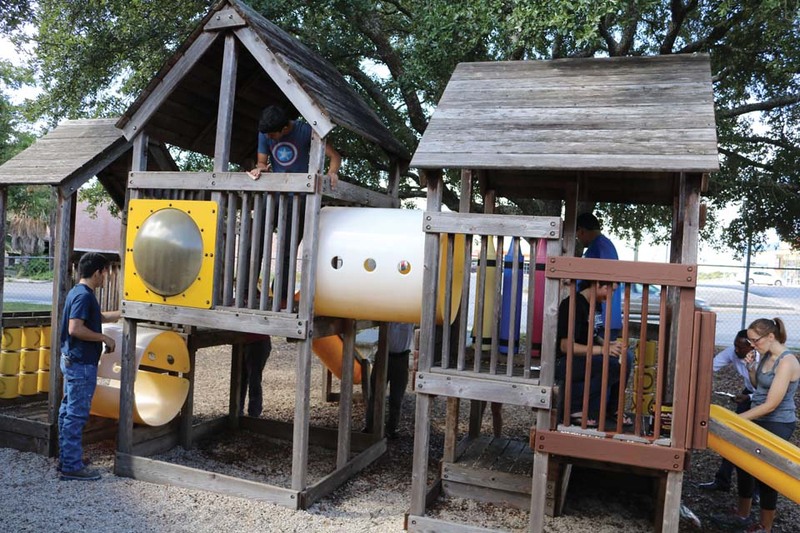 For more info, contact the Office of Development at (210) 829-6013.